The Morris water maze (MWM) is one of the most common behavioral tasks used to determine hippocampal spatial memory deficits. 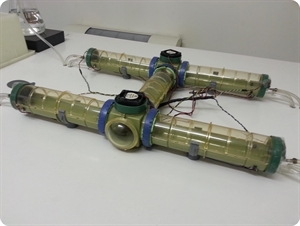 The test consists of placing the mice in a circular tank filled with cloudy water. The animal will be motivated to escape the water by swimming to a hidden platform located right below the water’s surface. Over several days, animal learns to find the hidden platform by using spatial cues. Distance swam, latency to reach the platform, and swim speed are recorded. The capacity of the animal to retrieve and retain learned information or the flexibility to purge and relearn new strategies can be determined using a probe trial in which the platform is taken out and the animals are allowed to swim in the pool. Time spent in the region that previously contained the platform, crossings over the platform area, and time to reach the platform location are measured. The olfactory tubing maze is a very sensitive hippocampal-dependent task. Mice have to make two olfactory-reward associations across three training sessions. The maze is made up of four identical testing chambers connected to each other by semicircular cylinders. After having chosen one of two odors presented on each side of a testing chamber, the mice have to run to the next testing chamber. From one testing chamber to the next, the side for presentating each odor is randomly assigned. The mouse must run through the entire circular maze to make a response at the four testing chambers. A complete session consists of 20 trials made by running five times clockwise through the maze with 4 trials per run. The training and data recording are fully automated by a custom-made software program. 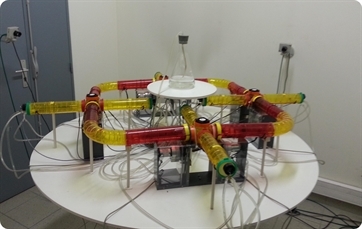 Analysis of the data suggests that it would be possible using this olfactory tubing maze to study sub-categories of memory similar in some respects to those observed in humans. Consequently, possible effects on learning and memory of classical treatments (i.e. pharmacological or lesions) or genetic modifications in transgenic or gene-targeting mice could be tested. The olfactory H-maze is a new experimental paradigm to study the cognitive functions involved in delayed response tasks in mice. The delayed reaction paradigm, consisting in the discovery of two different rules consecutively (delayed alternation and non-alternation task) followed by a delayed reversal task, is a hallmark of human, monkey or rat prefrontal cortex functioning. This fully automated olfactory H-maze can be used to investigate cognitive impairment related to frontal cortex in mice. The Novel Object Recognition test is used to evaluate cognition, and particularly recognition memory, in CNS disorders mouse models. This test is based on the spontaneous tendency of rodents to spend more time exploring a novel object than a familiar one. The choice to explore the novel object reflects the use of learning and recognition memory. During habituation, the animals are allowed to explore an empty open-field arena. 24 hours after, the animals are exposed to the familiar arena with two identical objects placed at an equal distance to the border. 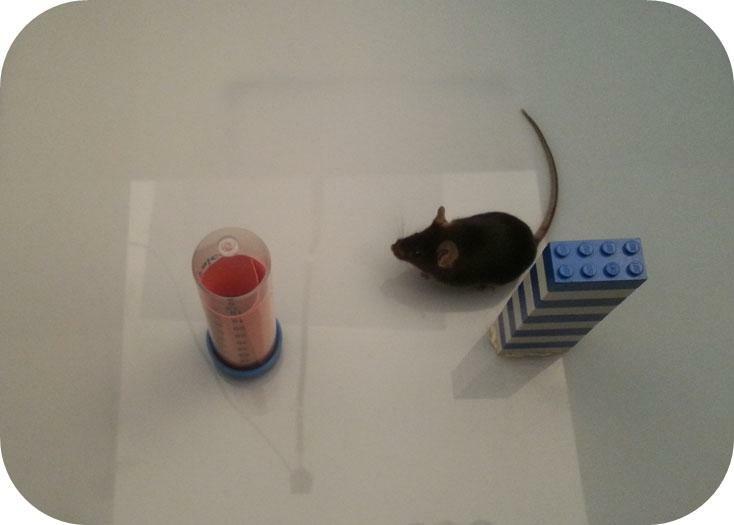 The next day, the mice are allowed to explore the open-field in the presence of the familiar object and a novel object to test long-term recognition memory. The time spent exploring each object and the discrimination index are recorded. This test is useful for assessing impaired cognitive ability in transgenic strains of mice and evaluation novel chemical entities for their effect on cognition.